The Prelude and Fugues from the Well Tempered Clavier have been a favourite for brass players to arrange for brass quintet. 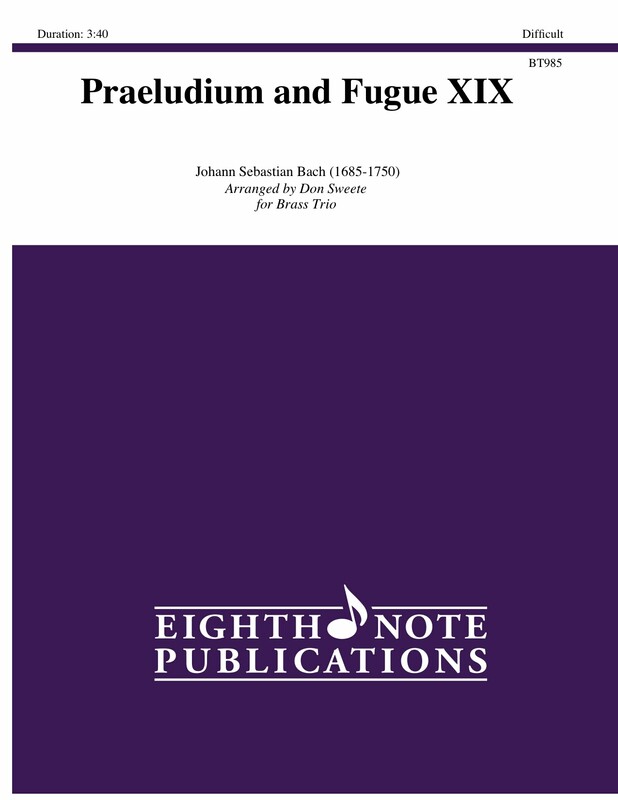 Here, arranged for brass trio, is one of the more popular prelude and fugues from Volume II. The contrapuntal lines offer a technical challenge for all three players.